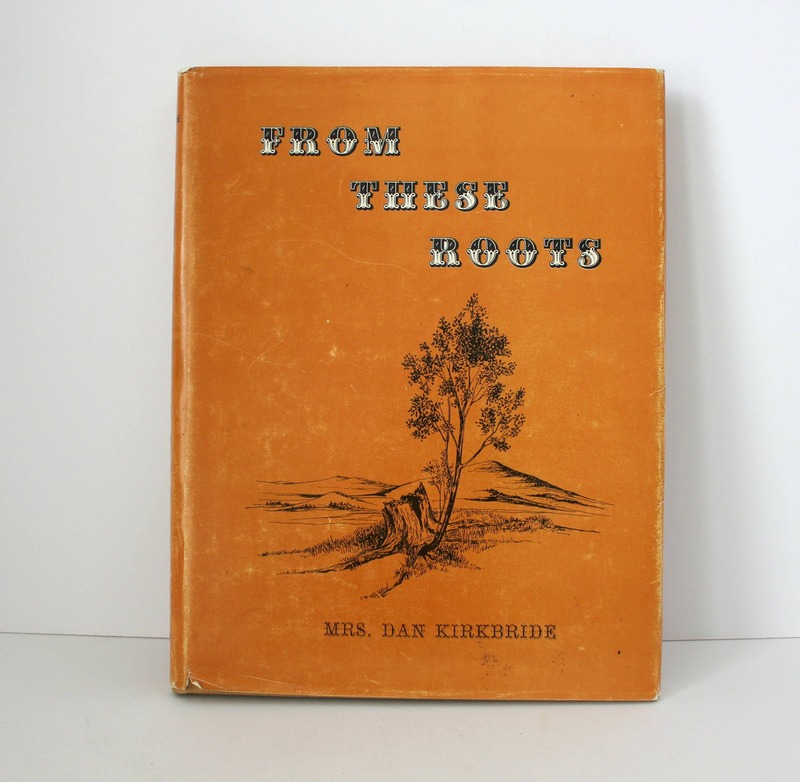 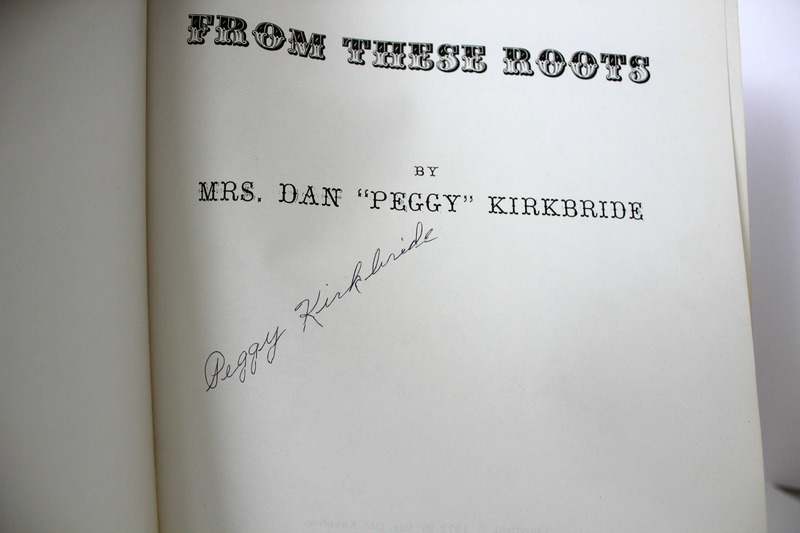 This is the vintage book titled From These Roots by Mrs. Dan Kirkbride, Peggy Kirkbride from 1972. 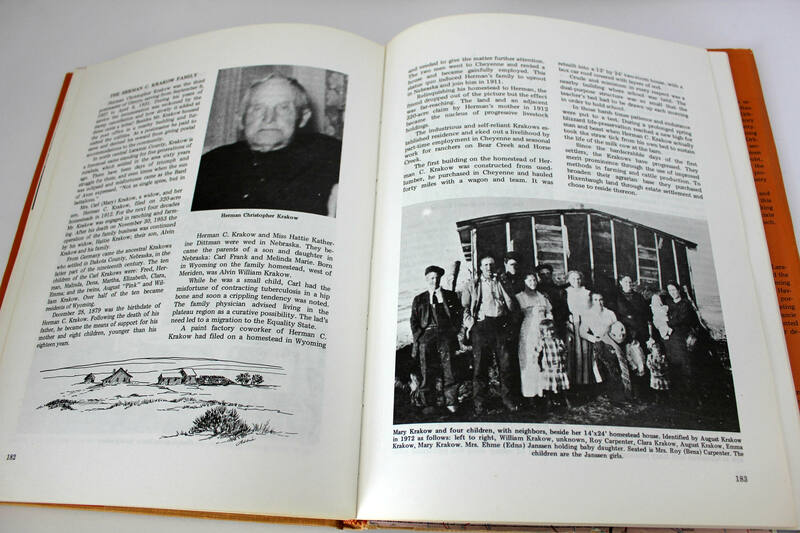 The book includes history on Wyoming, information on 12 pioneer families and their descendents, women homesteaders, latter day stockmen, and the postal service as well as postmasters and carriers. 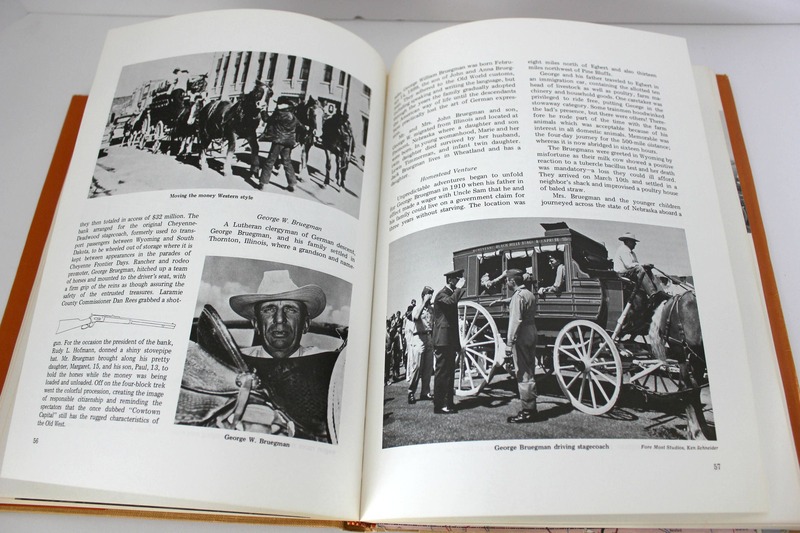 It is 213 pages. 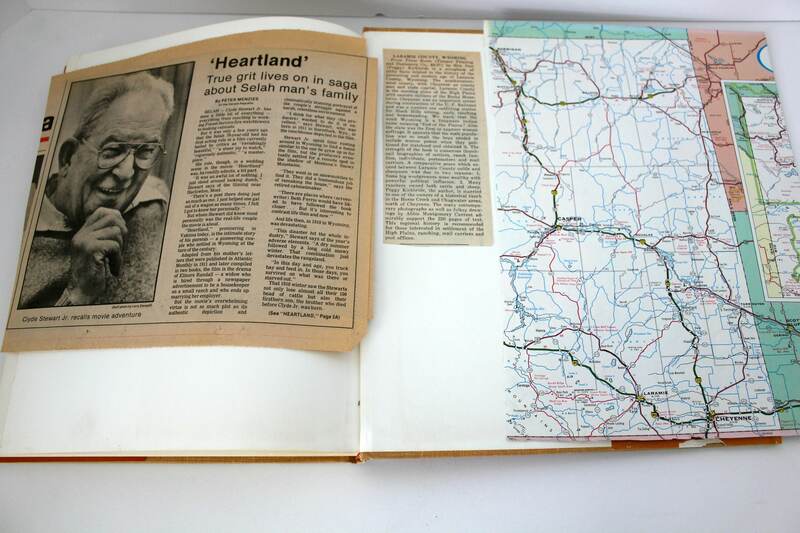 There are also a few other items included that were found inside the book. 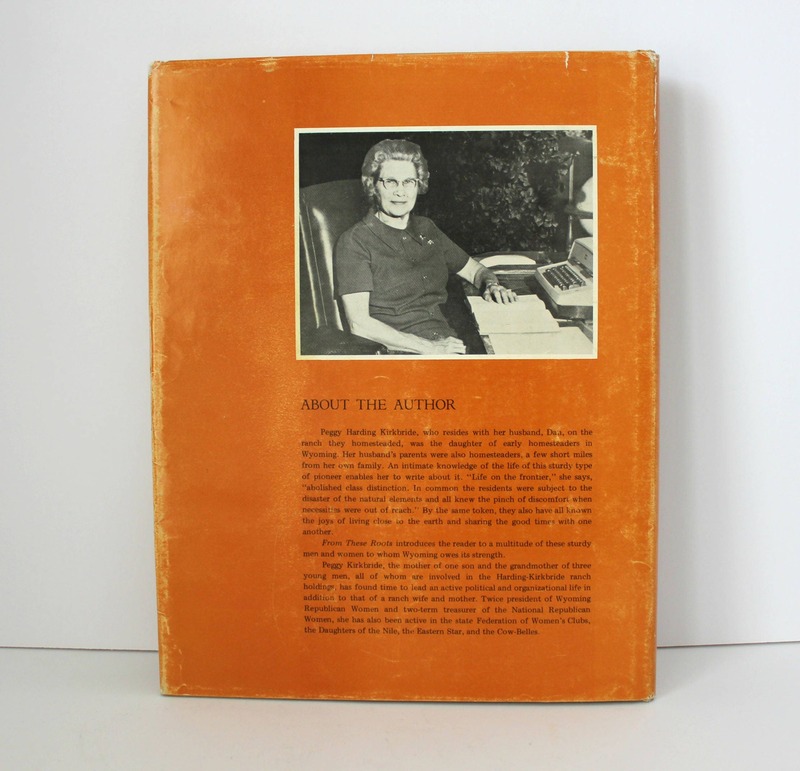 Condition is overall very nice. 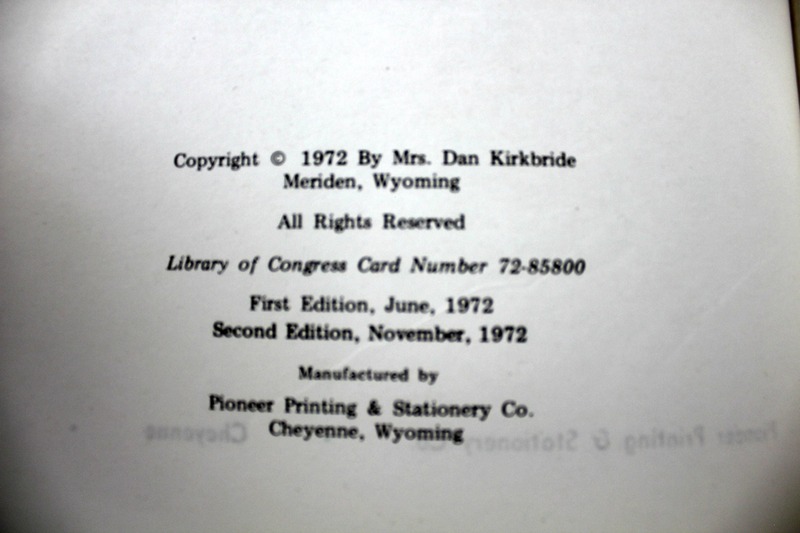 The pages are clean except for the signature of the author as shown, and a price written in pencil on the top of the first page. 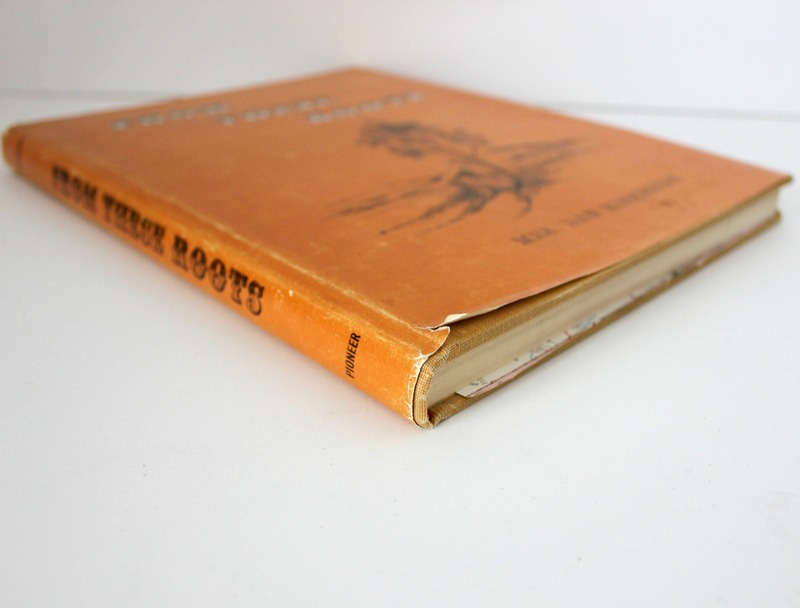 The dust jacket shows wear and some edge tears, mainly around the spine top and bottom.